COLUMBUS — As of Oct. 12, an estimated 910,982 absentee ballots had been requested and 42,470 had been cast statewide. This includes more than 7,900 ballot requests from military and overseas voters, whose absentee ballots started going out on Saturday, September 22, of which nearly 1,200 have been cast. Ballots for all other voters started going out on October 10 and more than 41,000 have been cast by mail and in person. During the 2018 General Elections, voters will decide a statewide ballot initiative, as well as races for both state and federal offices. There will also be 1,661 local issues(opens in a new window) across the state and a number of local races, which voters can obtain additional information on by contacting their county board of elections. Ohio voters have multiple options available to them to cast a ballot over a four week period that began October 10. A registered voter can cast an absentee ballot by mail or early in person, which gives them 24 hours a day to vote from home or nearly 200 hours to vote in person that includes weeknights and weekends, respectively. There is also Election Day, during which voters have 13 hours to cast a ballot at their neighborhood polling location. The voting schedule is accessible on the Secretary of State’s website. The full, detailed and interactive 2018 elections calendar is available online. 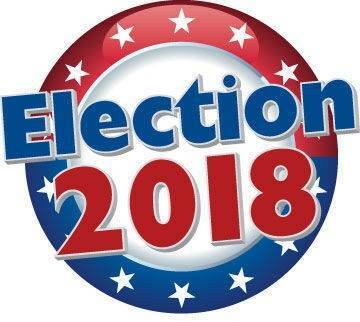 For more information on the upcoming Nov. 6 General Election or to download an absentee ballot request form, visit MyOhioVote.com.